Gólya is a community house in Budapest. It has been working for 6 years on Bókay János utca in the 8th District, and currently it is relocating to a new venue because of its neighbourhood increase gentrification and the consequence sale of their former rented venue. 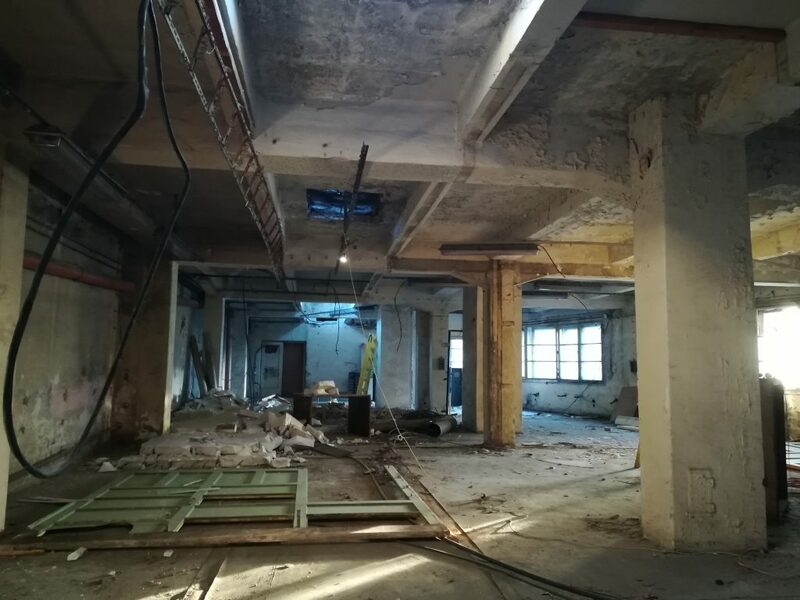 In this interview with Biro Marci, one of Gólya’s cooperative members, we discuss the community house goals and the challenge of renovating a rundown former factory. Can you start by introducing Gólya? Gólya is a community house where we are trying to mobilize as many functions as possible: we work as a concert and events venue, a bar, a cafeteria, children daycare, communal repair shop, but also as a platform where to organize workshops and meetings for the organisation we cooperate with. We give office space Helyzet Műhely, an working group of social theory which meets in Gólya. In the new venue,we plan to also host Merce.hu, an independent news website, and to create a radio studio and a workshop for carpentry, textile and ceramics. 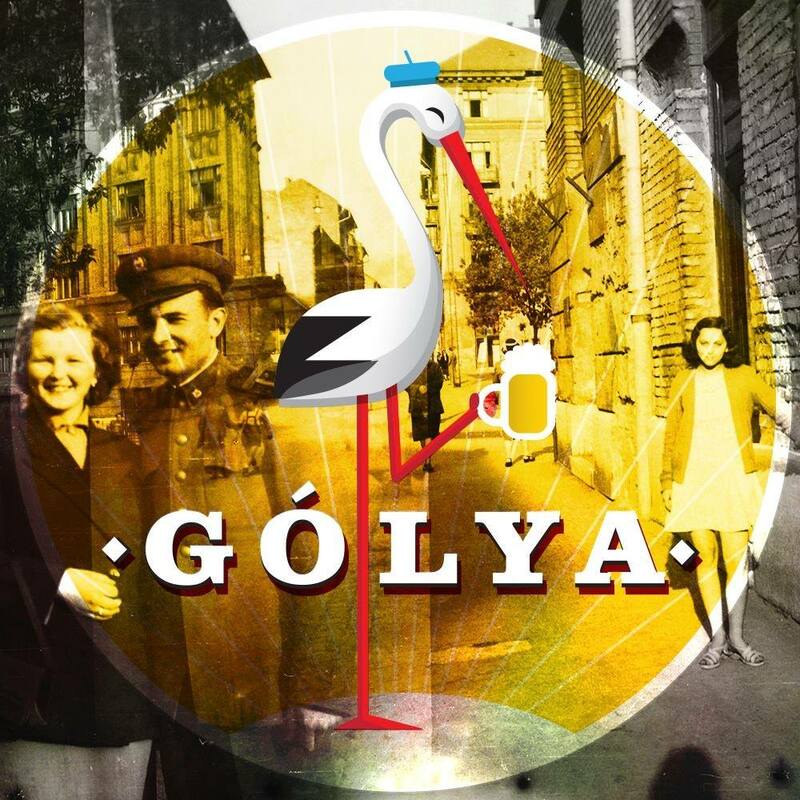 Gólya originally started as a small pub in the 9th district of Budapest, named Frisco, and run cooperatively from the beginning. In 2012, it moved in the 8th district, on Bókay János utca, where we rented a historical pub, we renovated it and we reopened under the name Gólya. Our main goal is to spread the idea of cooperative economy because we consider it the most beneficial working system for everybody as it does not take advantages of the workers and it makes works more pleasurable: in a cooperative everybody is an owner of the place and works for themselves and the other group members. View of the current Gólya building, on Bókay János street in Budapest. Photo by Gólya. As members of cooperatives we work for 40 hours a week, of which at least 18 hours must be physical labor and the rest is organizing work in specialized smaller groups responsible for different areas of activity (programming, marketing, logistics, finance, bureaucracy and all the things that we need in order to keep the cooperative running). We all attend weekly assemblies and monthly meetings dedicated to strategic planning and team-building. We are now 10 members and the fluctuation is not that big, usually if somebody leaves there is always somebody about to become a member. We are few people; we have 3 or 4 workers and some former workers or former cooperative members come and fill in if needed. You can become a cooperative member after a year of work in Gólya. You start as a regular worker doing “physical” tasks, either at the bar, in the kitchen, at the shows, or at the daycare. After about half year you can apply to member and usually you start to engage in the more “mental work”, such as coordinating tasks, back office, learning how to run the place itself. By the time you become a member you should have learnt how Gólya functions and how to organize your own tasks. Apart from the time spent working at Gólya, to become a member it is necessary to invest in some shares, with an investment equal for all member and which cannot be sold, but which will return to the person in case they leave the cooperative. Membership also comes with social benefits, such as food and drink provision, vacation, housing allowance, maternity/father’s leave, sick leave, and special considerations for studies or other personal needs. We try to keep the number of employees low because we prefer to teach people the methods we use so they can join the cooperative. Working with us is not as working in a bakery or in a regular bar because we aim to function in a structure in which each of us becomes a piece of a puzzle and works in connection with the others, knowing each personal inattention will more work to the co-workers. How do you generate revenue in Gólya? There are many channels to generate income: we organize shows, people come and they drink, we have lunch menus and we also offer catering for private events outside and we are also presents at some festivals with a Golya stand; we host private parties for people such as birthdays but we also organize different events and host cultural and political debates. This is partially from where we got the funding to renovate the new location but we also had investors who gave us some money. It is hard to define our guests, many people from the neighborhood come here since they consider us the district pub, but we also receive people come from the outskirts of the city to hang out here, a lot of foreigners who like Gólya’s vibe because we resemble a squat-like-establishment and who search for cheap prices. We try to build a network with other cooperatives in Budapest and outside Hungary so we can learn from each other about the challenges of a cooperative. Last months we received a group of people from Finland who visited us to learn about our cooperative system as they run a cooperative themselves in Finland. Our guests might change in the relocation as we are moving in another area of the same district, it is not yet gentrified or hyp but we will open a bigger venue where we can implement a more wide range of facilities. Why did you have to move? We needed to move because the owner sold our rented venue on Bókay János utca, making a big profit. Our building is 150 years old, but around us there are newly build offices and luxury apartments. It always surprises people to see fancy tall glass new corporate building that surrounded our tiny-one-floor-house. This area is undergoing huge changes: in the ‘80 and ‘90s, District 8th has been known as sketchy neighborhood, but it has always had a good transport system, good infrastructure and it is close to the city center. Since the 2000s, the incoming foreigner investments has modernized this area, starting from the upper side by the tram line, and eventually reaching us. Inside the new Gólya building during the renovation. Photo by Eutropian. This used to be an office building of Ganz Works, a transportation manufacture, and abandoned for years. We found this venue over one year ago; we negotiated with the owner and bought it. The propriety cost a lot, but we managed to collect part of the money and to make a loan for the remaining sum. We funded the relocation through a successful crowdfunding campaign; we had small investors, friends who helped us, regular customers at the old Gólya and relatives who wanted to support us. As soon as we bought the place, we started brainstorming how to design the new venue, with the help of friends, relatives who work in constructions. None of us ha experience in construction but it turns out we can learn and become good at it. We are working everyday on the building renovation and we hope to move there soon. We come here every day; we have breakfast together and we talk about the day. Sometimes we set deadlines such as removing all the excess material from the roof, or demolishing some walls, and we schedule the work week by week. Three members of the cooperative are working full time on the renovation, they are equally important in the renovation: one person organizes the work, the other one manages the volunteers, and the third person manages the equipment. There are also between 2 and 5 people who support them in the renovation’s coordination or do the back office paperwork. We had none support for any local institution, but we still try to keep a good relationship with the city council. We feel that sometimes city council or even some of our neighbours are skeptical about us, but we suppose they admire that we are still running the place, legally, and above water. We hope that our organisational model could become a common economic structure here in Budapest and we are happy to be re-open our community house in a venue we own. 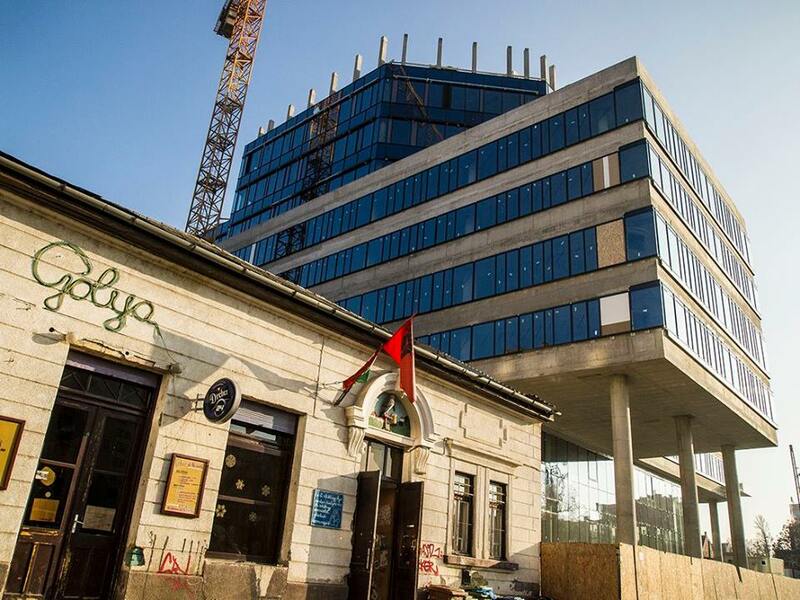 The new Gólya building is just ten minutes away from the current Gólya, in the outskirts of District 8, on Orczy út. The old Gólya was 350 square meters and this will be much bigger, 1200 square meters, plus a rooftop. On the ground floor we will have a concert hall and a bar, on the first floor we will have the kitchen with a restaurant and a smaller and quiet room for screenings and meetings and offices. As we won’t have a garden anymore, as it used to be in the old Gólya, we will use the rooftop as a terrace to use in summer. Budapest, Community, Culture , civic space, co-working, community, cooperative, crowdfunding, culture, economy, neighbourhood, ownership, social inclusion, temporary use.